TRAMS #5, 9, 15, 26: Tram stop ‘Husinecka’. Walk to your right up the big hill that runs along the right of the football stadium for three blocks. We are at the top of the street on the right, on the corner of Chopinova & Vozova where Riegrovy sady park is located. METRO & TRAM #11: Stop ‘Jiriho z Podebrad,’ Metro Green Line ‘A’, exit at the top of escalators to the right and follow in the same direction Slavikova ulice four blocks North until it turns into Vozova street and starts to turn downhill. Continue down and up to the left one block, we are on the corner of Vozova and Chopinova, next to the park. BY CAR: Paid parking is located (two blocks away) on either Polska or Slavikova street. Reservations from 5:00pm on can be booked through our handy Reservation Page or you can drop us a line with your request: rezervace@thetavern.cz. Same-day reservations are accepted ONLY UNTIL 6:30pm. If you don’t get your reservation request in by 6:30pm please stop by and our waiters will do their best to get you the first available table. Tables will be held for maximum 15 minutes from designated reservations arrival times. Due to weather considerations, we do not take reservations for the summer terrace. CAN I GET A RESERVATION BEFORE 5PM? We have open seating during weekday lunch and weekend brunch times but if you have a special request please email us: rezervace@thetavern.cz. Come by any time–our restaurant may be small but we’ll always do our best to find you a seat! 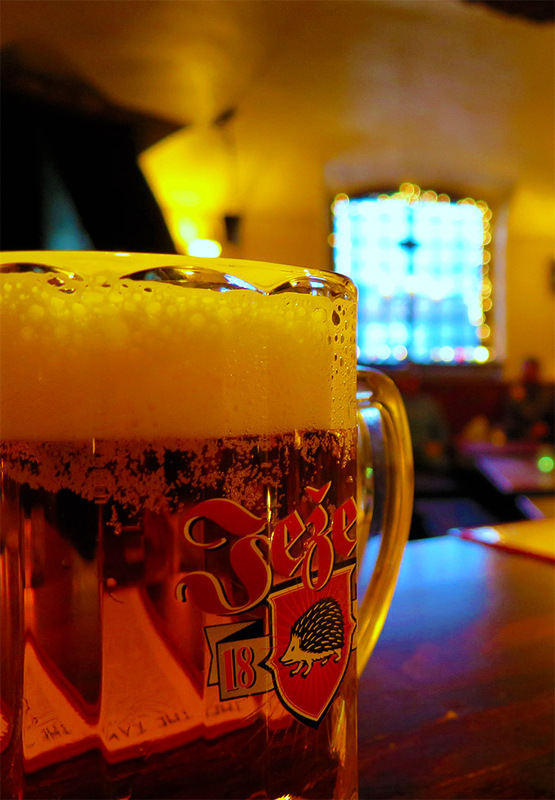 We only take reservations via our online system or email: rezervace@thetavern.cz. Our staff checks frequently for reservation requests and will confirm your booking as soon as possible. During peak hours (after 6:30pm) we are often unable to respond, but please stop by and we will do our best to get you seated. HOW CAN A PLACE A TAKE-AWAY ORDER? WHAT ABOUT DELIVERY? Due to capacity limitations, we only provide take-away orders placed directly on site at the bar. We will do our best to get your order ready as soon as possible, thank you for understanding. At this time we do not offer delivery services. For on-site or private catering requests please contact us by email. The Tavern is a non-smoking venue inside and in our exterior winter garden. Smoking is permitted on the uncovered section of our terrace. Most major credit/debit cards, Czech koruna and Euros are accepted. ‘Stravenky’ food vouchers are not accepted. All well-behaved pooches on leashes are welcome. Our waiters will be happy to provide you with a lock for your baby buggy which, due to space restrictions, we ask you leave outside.